Tonight, the top 4 of Jay’s team will emerge. Jay shares that he wishes his students to be happy and not cry, even if they have to leave the stage. 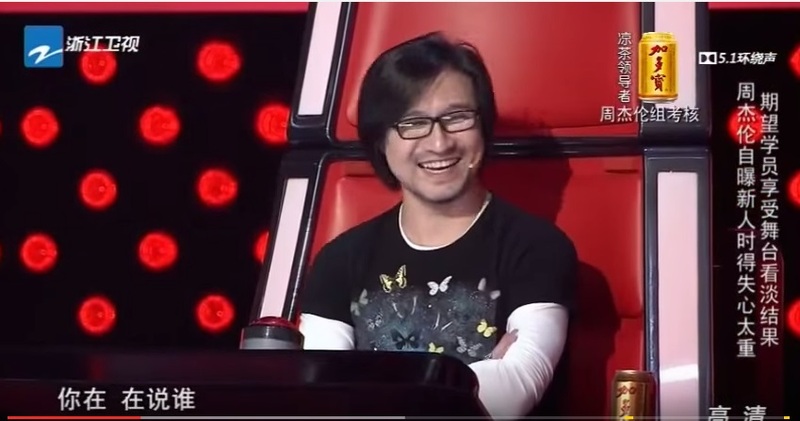 Unlike some other mentors… which we all know is Na Ying, because I mentioned this in my previous recap. Harlem then warned Jay better not to cry tonight. Well, we’ll see. 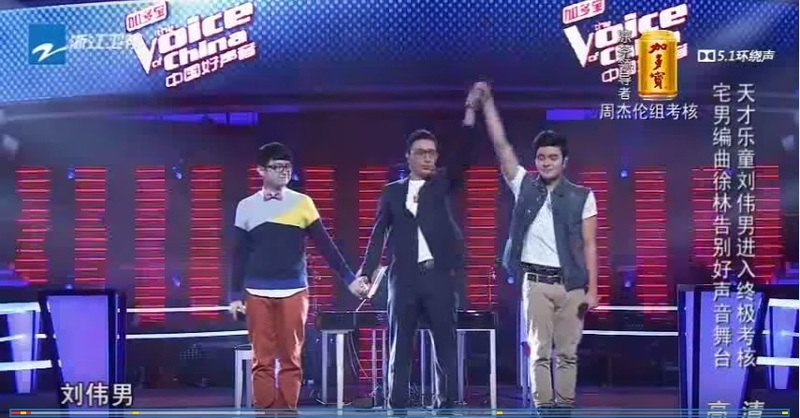 Jay has invited Zhang Hui Mei, better know as A Mei, to be his guest judge! On a random side note, Wang Feng changed his hairstyle and it’s horrible? What happened!! Comments: Rap battle! 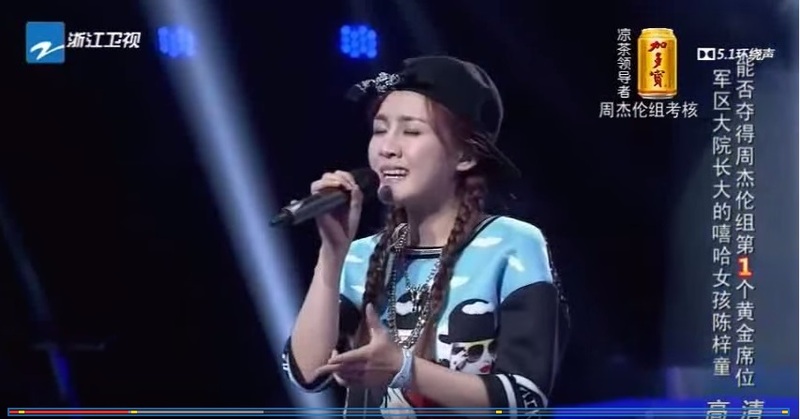 I wasn’t very fond of Chen Zitong in her blind audition but I think she did better than Michael this round. Michael did a amazing job with his rap as usual. 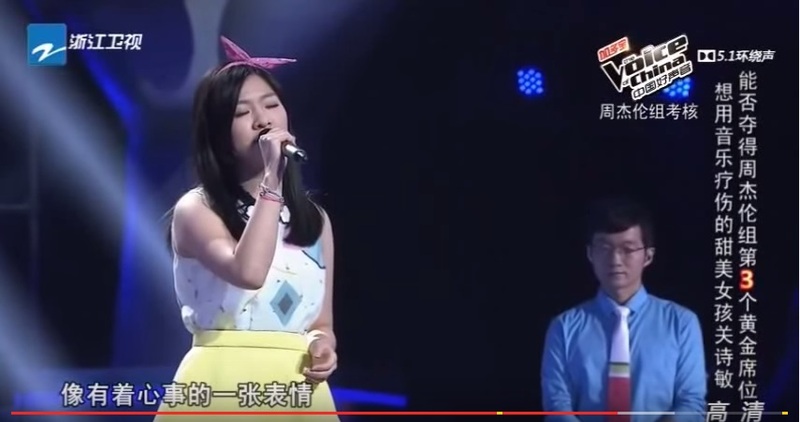 But like the judges commented, Zitong had a singing part as well and hence, she managed to show off more skills. Her singing did improve though, I feel. Winner: Chen Zitong. 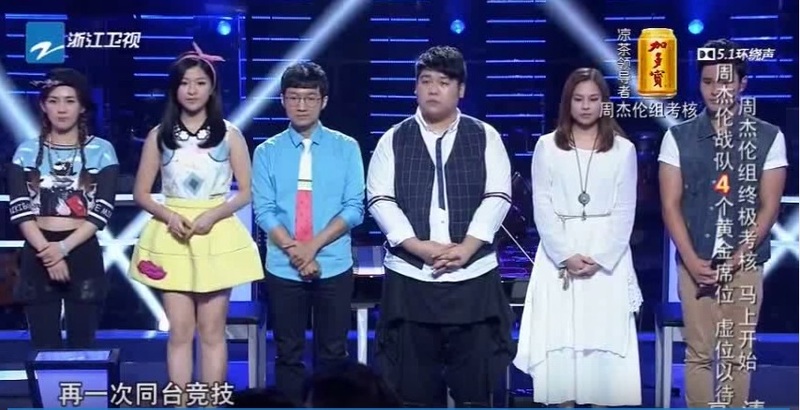 I think the performance was skewed in Zitong’s favour since the start. Michael was great, but he could have been better if he was given more opportunities in the song. 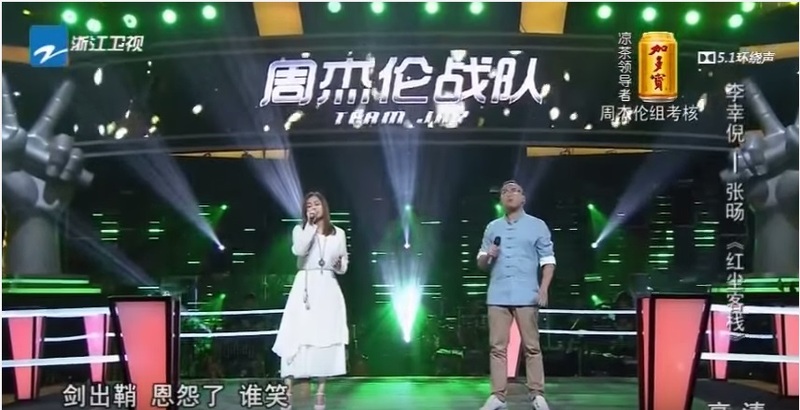 Comments: This is a kinda slow song but I think this performance is completely different from Na Ying’s team performances. I personally liked Sharon’s voice a lot more. It has this special quality. A Mei thinks that Li An An has more consistent performances though, so she should remain in the competition. Jay feels that this song is very touching, and he claims that this must have scared all the other mentors, they are just pretending to be composed. Li An An broke the rule!! She cried on stage – she said she would be sad if either of them leave because they have became such great friends. Jay then showed that his greenness in this show for the first time by going over to the judges individually and asking for further advice (that the audience can’t hear) after the vote was split two-two. Winner: Guan Shi Min (Sharon Kwan). If I’m not wrong, she’s actually an established singer already. No idea what she is doing here though. Comments: Xin Ni has a normal nice voice while Zhang Yang has a very different take to the song with his weird accent and all. 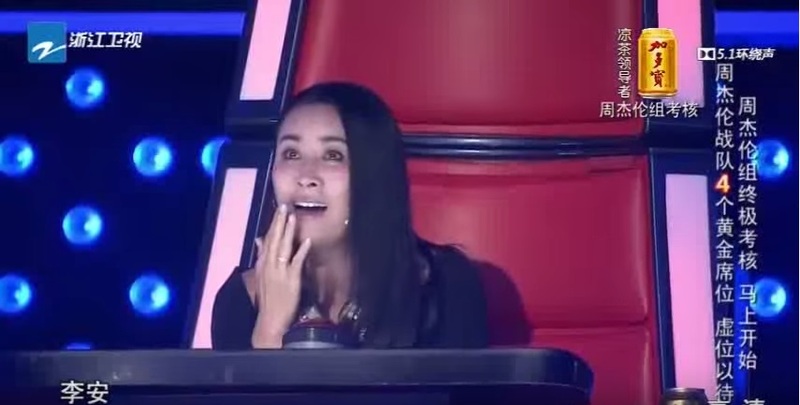 Zhang Yang’s voice can be a bit annoying at first but the more I hear, the nicer it is. And it’s a refreshing change. 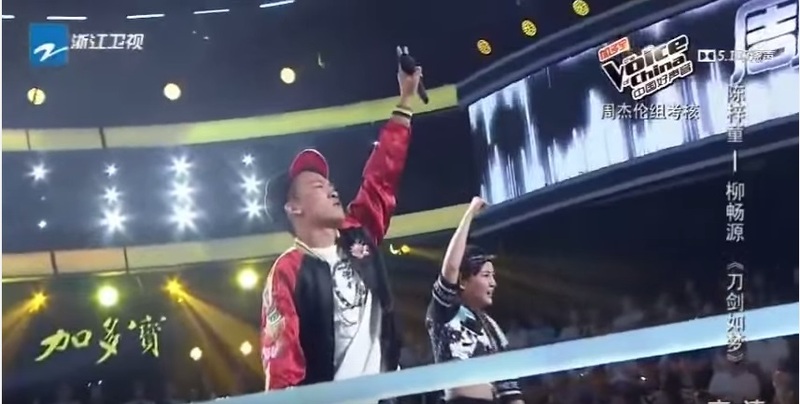 I don’t think Zhang Yang should win though, because he probably don’t have a chance against other contestants. It’s true he has a special voice, but this ‘newness’ probably cannot beat mainstream ‘good’ voices. Zhang Yang shared that he and Xin Ni never saw each other as competitors and towards the end, he calls her ‘wifey’ while she calls him ‘husband’. Winner: Li Xin Ni (Gin Lee). 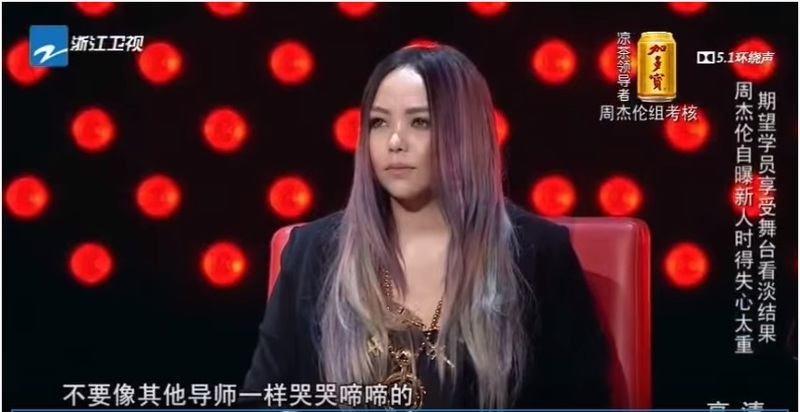 Not surprising, but there’s always the chance that Jay might have chosen Zhang Yang instead because the latter does have qualities that define Jay – such as this unique non-mainstream ‘China style’. It’s a double edged sword, I guess. Comments: Leon has a ‘western singer’ feel. Jiang Yuan Dong is the geeky boy, mentioned in my ep 3 recap, that I was looking forward to see! 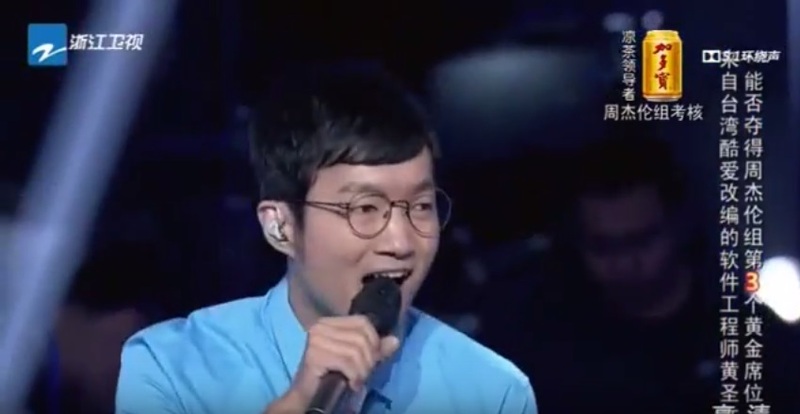 I liked Yuan Dong, but I think Leon completely overshadowed him in this performance. Leon’s voice is much thicker and consistent so it draws you to him unconsciously. I think this is one of the strongest team in Jay’s team – Jay formed this team to scare the other mentors. Jay Chou is someone with high pride and refused to drop a single tear. Jay was very confused this entire episode and this is the first episode this season that Jay looks so lost. Winner: Li An (Leon Lee). Jiang Yuan Dong didn’t quite give me the surprise that I thought I would see but according to the judges, he did do very well so good for him! He’s young, and he still has many opportunities ahead so I’m not too sad for him. Go, dude! Jay also made Leon keep to his promise to do a split if he wins, and so he did. Wow, that was unexpectedly cool. Comments: Both of them ‘play the trumpet’ really well. I don’t know who I like more though, because I thought the performance was quite messy, with all that ‘trumpet playing’ in the background. It’s very musical and entertaining but not my thing. Winner: Will Jay. Bye dear Xu Lin 😦 Jay asked Xu Lin for help though, because he realise Xu Lin is very talented and strong musically. I guess the only reason Will Jay won is because of his healthier image which will be an edge when he competes against the other teams. 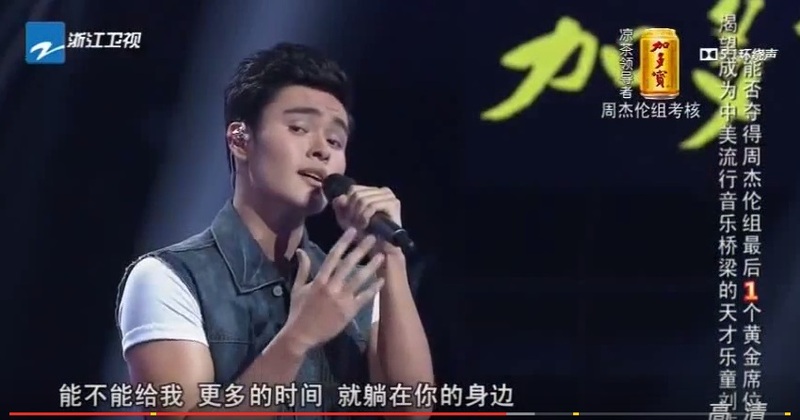 Still, I stand strong in my belief that Xu Lin will make it big in the music industry, as long as he wants to. Next up, time for the duel! Jay cringed while Na Ying gasped. I guess both of them are strong but I still don’t see the appeal in Chen Zitong. Comments: The first part of her performance was underwhelming. She tried to change up the song but I think it became worse. The rap part was pretty decent though, better than the first performance at least. Comments: Sounds great as usual. He can totally release his own album. Pretty sure it would work out well. I guess the only question now is will Jay keep him only or will Jay choose them both. 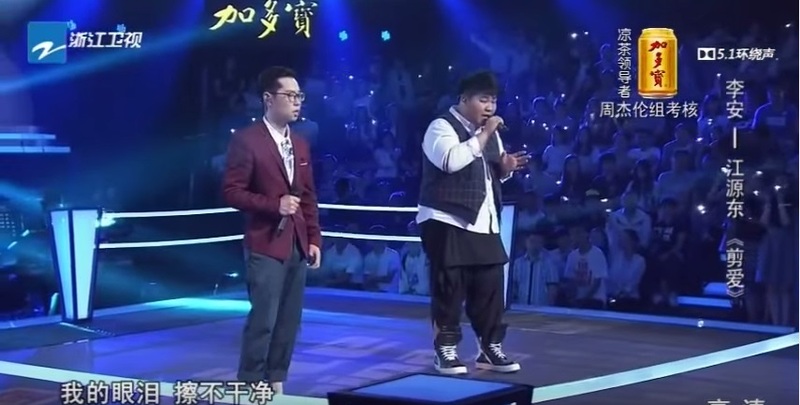 Apparently Leon made a few mistakes in his song and Jay is very disappointed in him because that would be letting down his previous opponent, Jiang Yuan Dong, who was also very strong. Winner: Jay shared that he has made a decision long ago. He chooses… BOTH. Comments: I thought his performance was a bit lacking, a bit too dry. I’m not sure if it’s because of the lack of confidence he is feeling or what. He does sound good but it just feels weird. Winner: Guan Shi Min (Sharon Kwan). So much for winning for Jay’s team. Comments: She has a nice voice, but it just isn’t outstanding. There’s nothing exceptionally special about her that gives her an edge and since her competitor is Will Jay, I worry for her. Comments: He sang one of the OST for In Time With You! 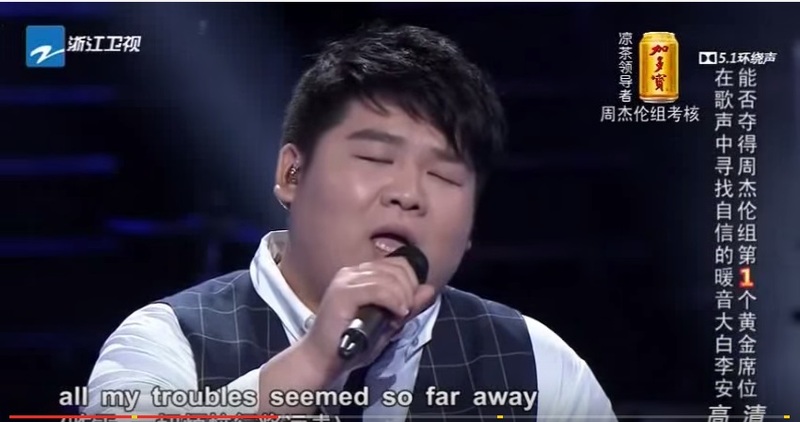 I’m really familiar with this song and I think he sang pretty well, even though some of his chinese was off. I think he should have chose a happier song instead as it would allow him to give off more of his sunshine vibes, and give him more chances to jump around and be happy. Towards the end, he tried putting in more strength and effort to hype up the atmosphere, but it just went wrong because this is a light-hearted song. Well, Gin Lee has a chance though, because the judges all felt that she did better as Will Jay was more shaky in this song. Jay also pointed out that Gin can handle stress better, and so is able to give off more consistent good performances. Winner: GIN LEE. I am amazed. This is the first choice that completely threw me off today. Will Jay didn’t ace his performance, but I thought he was at least decent. And the main reason why I’m worked up is not because Will Jay is gone, but because XU LIN IS SACRIFICED FOR NOTHING? I cannot continue this recap any more. Oh wait, they are the last pair anyway. Smart. I had more to say but now I just need to wallow in sadness over Xu Lin’s wasted sacrifice. I’m looking forward to Harlem’s team next week though. I remember having a lot of contestants I like that joined his team. Some admin matters; I will be posting recaps up as long as I watch the show. There might be lesser screencaps though, because those are what takes the most time. Also, I might skip certain episodes and not go back to them if I am having a busy week so do expect missing episodes. Plus, I am likely to not finish recapping this to the end because the end of the show is too close to my exams. I might do up the missing recaps belatedly in December, after my exams are over though. 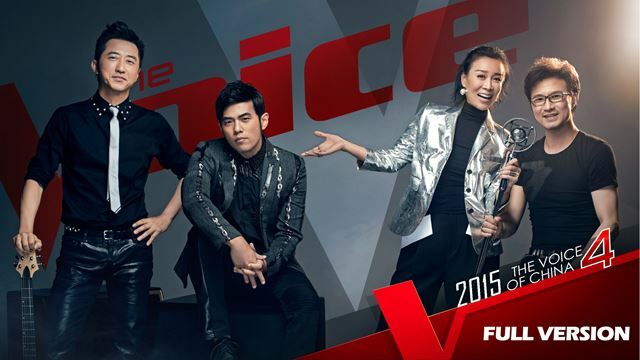 For now, go watch The Voice of China Episode 8 here and cry over Xu Lin’s departure. 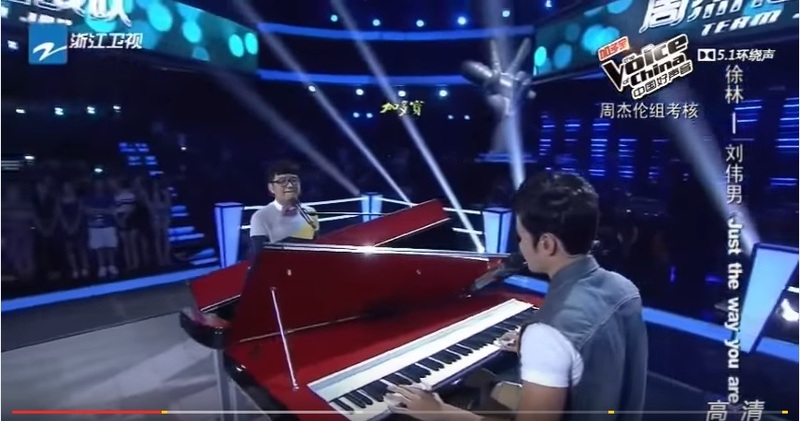 This entry was posted in > China, - Music, - Variety Show, Recap and tagged A Mei, Abigail Garza, C-Variety Show, Chen Zitong, Gin Lee, Guan Shi Min, Harlem Yu, Huang Sheng Wen, Jay Chou, Jiang Yuan Dong, Leon Lee, Li Xin Ni, Liu Wei Nan, Liu Yuan Chang, Michael Liu, Na Ying, Sharon Kuan, The Voice of China, The Voice of China Season 4, Wang Feng, Will Jay, Xu Lin, Zhan Xiao Li, Zhang Bo Lin, Zhang Hui Mei, Zhang Yang, 中国好声音, 中国好声音第四季 on September 6, 2015 by Kate - skimmedmilkdrama. You are welcome 🙂 I’ll try my best but no promises because I have some exams going on for the next two weeks. I’ll probably try to post a recap as soon as the video is uploaded so I will at least have time to study over the weekend. 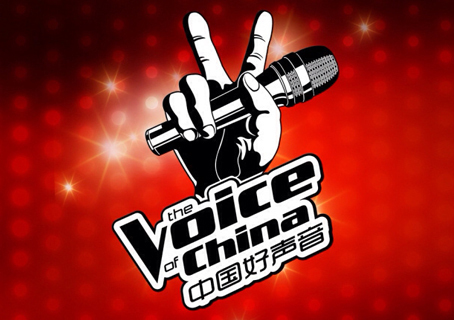 Stumbled upon this website while looking for The Voice of China S4 clips. You give a good summary of all the matchups/battles. Leon is quite a talent, but I kinda disagree with him singing ‘Yesterday’, the song is just too slow for me to properly enjoy it.